May is one of those jam-packed months as we get our yards and gardens in order, get motivated to exercise, celebrate motherhood, applaud happy graduates, and wrap the month up with remembering on Memorial Day. It's easy to get overwhelmed and then find ourselves saying, "where did the month go?" The best advice we can give is to take time for yourself. Each and every day, even if it is just a quick 5 minute disconnect with the world/reconnect with yourself moment. It can be done at your desk, while waiting in line at the grocery store or bank, getting to an appointment 5 minutes early so you can have that time for yourself. Taking the time to breathe, to settle your mind, calm your thoughts, and gather your energy can be grounding and invigorating. 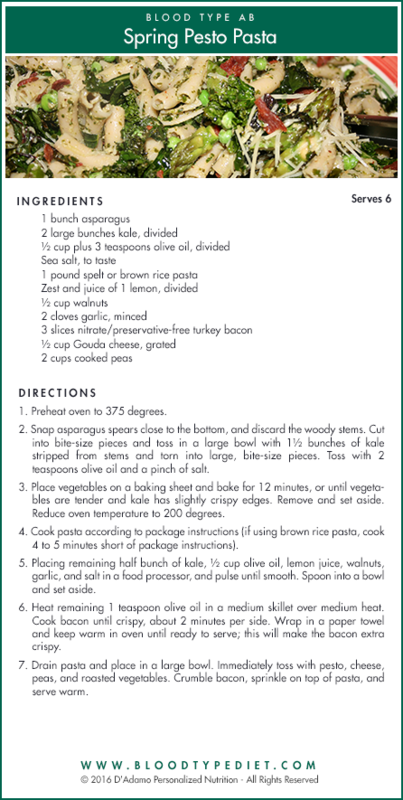 In addition to the regular busy-ness of May, all of us at D'Adamo Personalized Nutrition have another layer of busy-ness. We are moving! After 12+ years in Wilton, we are heading to South Norwalk, down by the Long Island Sound. South Norwalk is a bustling city, with lots of retail, restaurants, and expansion happening. It is a great opportunity for all of us to shake out the cobwebs, clean out our desk drawers, leave behind that which no longer serves us, and set in motion our plans for the next 12 years. We had a field trip to the new building, and here's a picture of all of us, courtesy of Bob Messineo. Right after lunch, the build out phase started, and we look like a construction site. We'll keep you posted on our progress, and look forward to welcoming June in our new digs. Persistent inflammation can lead to chronic health challenges, and any health conditions that end in "itis," involve inflammation in the body. Osteoarthritis is when cartilage in one or more joints breaks down over time, causing bones to rub together and causing pain, inflammation, and stiffness. Bone rubbing against bone, without cartilage to cushion them, causes pain. Rheumatoid arthritis occurs when the body's immune system attacks the membrane surrounding the joints. This can cause the flesh around the joints to swell up, making the space smaller. Over time, the autoimmune response can damage cartilage as well. Injuries can also cause joint pain and swelling. This usually goes away when the injury heals, but the site of the injury is more prone to developing osteoarthritis later. For life-long healthy joints, it's important to use appropriate protective gear in sports and learn the right techniques to minimize the risk of injury as well as to eat right to support your body, incorporating as many beneficial foods into your weekly meal plans as well as avoiding harmful dietary lectins which cause inflammatory responses in the body. As a quick refresher, lectins are proteins found in many foods. They often react chemically with blood type antigens; the molecules found on the outside of red blood cells. Many lectins are harmful for one blood type while being neutral or helpful for another. 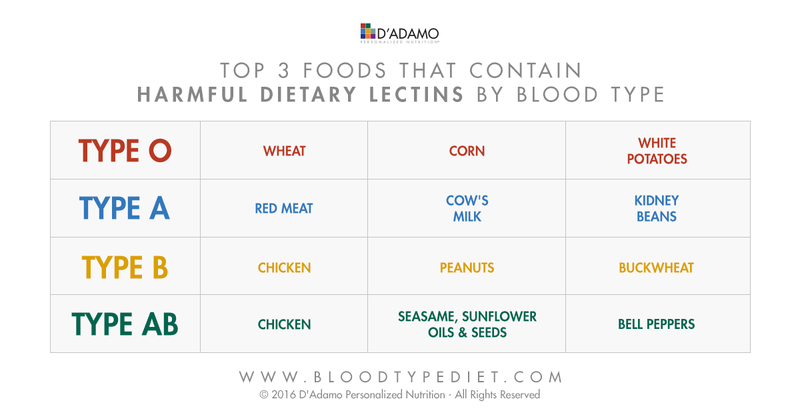 Other lectins are harmful for all types, or don't cause reactions in the body at all. When following the Blood Type Diet, you're limiting the harmful lectins in your diet, while increasing the helpful ones. Eating and exercising right for your type can also promote healthy joints and mobility, optimal weight maintenance and overall vitality. Regular exercise, including both aerobic exercise and weight training, is essential for healthy joints. Blood Type O benefits tremendously from brisk exercise that taxes the cardiovascular and musculoskeletal systems. In general, Os don't benefit as much from gentler exercises such as yoga or Tai Chi, but individuals with arthritis or chronic illnesses will benefit from ANY amount of regular movement, even the exercises generally recommended for other types. Blood Type A should focus on calming exercises such as yoga and tai chi, and light aerobic exercises such as walking. For Blood Types B and AB, stress regulation and overall fitness are achieved with a balance of moderate aerobic activity and mentally soothing, stress reducing exercises. For more information, including a complete listing of foods, supplements, and exercise recommendations for each blood type, you can refer to my book Arthritis: Fight It with the Blood Type Diet. A complete listing of the foods for the Blood Type Diet can also be found on the Type Base. Healthy joints and mobility are essential at every stage in life. Keeping our joints "well-lubed" and fluid provides flexibility, ease of movement, and an overall sense of being comfortable in our bodies. 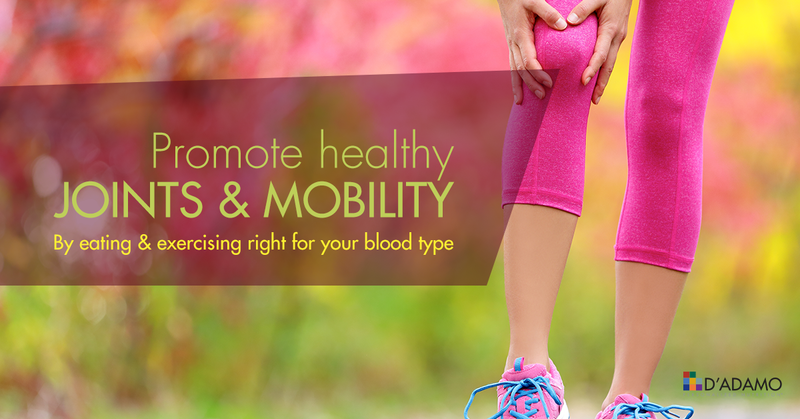 Eating right for our blood types and regular exercise and stretching are essential in maintaining healthy joints. Here's a simple exercise to do in the morning and evening to begin and end your day. It can take as little as 2 minutes or you can practice this for as long as you like. Stand with your feet a little wider than hip width apart. Take a deep breath in and let it out. Let your arms rest comfortably at your sides. Feel your head, stretching up to the sky, as your spine lengthens. Feel spaciousness in your spine, from your coccyx bone (tailbone) through your lower, middle and upper back, neck and top of the head. Keep reaching through the top of your head, as you slowly raise your arms up, palms facing down. 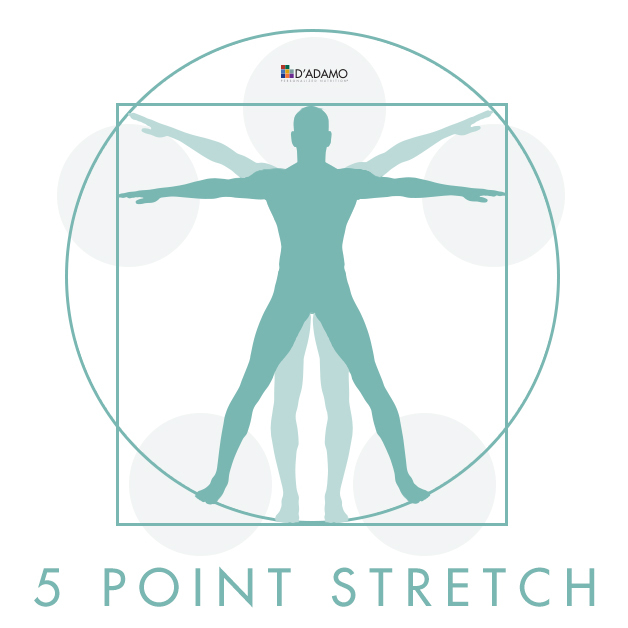 Feel your arms stretching and your hands reaching out to the sides, and experience the spaciousness of your shoulder joints, your elbows, and your wrists. As you keep reaching, gently rotate your hands, palms up, and repeat the stretch. Feel the difference from that small rotation, and notice where you feel tightness or a release. Take a deep breath, rotate your palms facing down, and lower your arms to your sides. As you keep reaching through your head, lengthening your spine, feel your feet reaching down into the earth. Feel the openness of your hip joints, as you stretch your head up to the sky and ground your feet into the earth. Take a deep breath, and slowly raise your arms to your sides, palms facing down. With little movement, stretch your head up to the sky, ground your feet to the earth, and feel your arms reaching to each side. Imagine a bubble of white light around you, growing larger as your stretch, incorporating heaven and earth or north and south, and east and west. Take one more deep breath and stretch as deeply and gently as you can. Relax, and let your arms return to the sides of your body. Take three deep breaths, and feel the spaciousness and openness you've created in your body. Digging into the garden and spring-cleaning can bring great joy and occasional joint and muscular discomfort. Take care, pace yourselves, and when in need, find support with Dr. D'Adamo's favorites for supporting healthy joints and mobility. All Phytocal mineral formulas feature Maerl-based sea calcium, the only natural source of calcium with a broad enough buffering range to work effectively amid the differing digestive capabilities of each blood type. Phytocal O: Features balanced levels of the micro and macro-minerals magnesium, iron, copper and zinc; manganese to help insure proper joint and ligament function and micro-trace amounts of iodine to enhance thyroid function. Phytocal O also features nettle leaf (Urtica dioica) an important aid to proper intestinal assimilation. 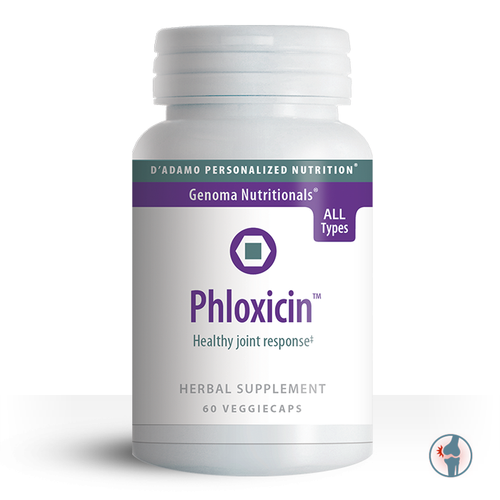 Phytocal A: Features higher levels of the important antioxidant selenium; the gastric activating cofactors betaine hydrochloride, renett and gentian root (Gentiana lutea), plus the mineral-rich herb horsetail (Equisetum arvense). Phytocal A also features significant levels of the important calcium absorption enhancer, ipriflavone, and a small dose of vitamin A to enhance the activity of the calcium absorbing enzyme intestinal alkaline phosphatase. Phytocal B: Features the highest levels of magnesium, an important nutrient for nerve and muscle function; chromium to help balance carbohydrate function and proper doses of iron and copper, two important blood-building nutrients. 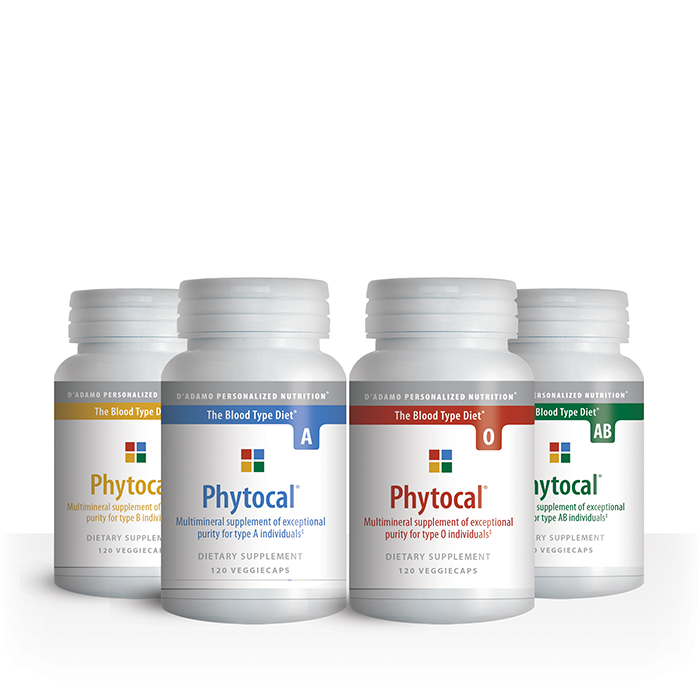 Phytocal B also features higher levels of vitamin D and vitamin K, important calcium absorption cofactors. Phytocal AB: Features higher levels of the important co-minerals magnesium, manganese, and molybdenum, along with the stomach-acidifying cofactors betaine hydrochloride and renett. 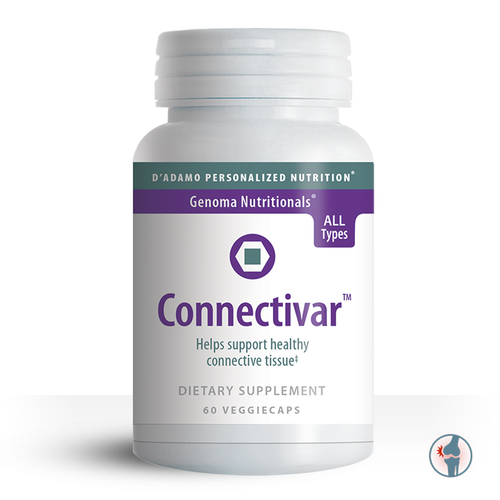 Dr. Peter D'Adamo has designed Connectivar to maximize vascular and connective tissue health using a combination of two well-researched herbs, a bioflavonoid complex and one very unique mineral. Manganese: a key micro-mineral, helps to support ligament strength and helps to maintain joint stability. 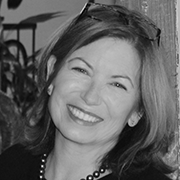 Unlike conventional manganese supplements, Dr. D'Adamo chose to use the more expensive 'picolinate' form of manganese, to help insure maximal absorption. Butchers Broom: contains a natural antioxidant (flavone) that appears to help strengthen blood vessels, lessen capillary fragility, and sustains healthy circulation. Rutin-Hesperidin Complex: contains a bioflavonoid that appears to work by improving healthy venous tone and helping to maintain normal capillary permeability. Connectivar can be helpful for those unpleasant discomforts arising from exertion, or that tired feeling that comes from having to stand on one's feet for long periods. Continued use can help maintain both proper, healthy circulation in the legs and strong venous tone. Dr. Peter D'Adamo crafted Scienca as a blend of several well-known herbs and nutriceuticals, designed to maximize and support joint comfort and enhance the body's natural regenerative mechanisms. Scienca is based around the well-known Ayurvedic antioxidant Turmeric, which is a member of the ginger family. You probably know of turmeric as one of the main spices in curry. Turmeric's healing effects are likely due to one of its main constituents, called Curcumin. The Individualized Plan for Defeating the Pain of Osteoarthritis, Rheumatoid Arthritis, Fibromyalgia, and Other Inflammatory Conditions. Specific tools for preventing and treating inflammatory conditions that are not available in any of Dr. D'Adamo's other books. 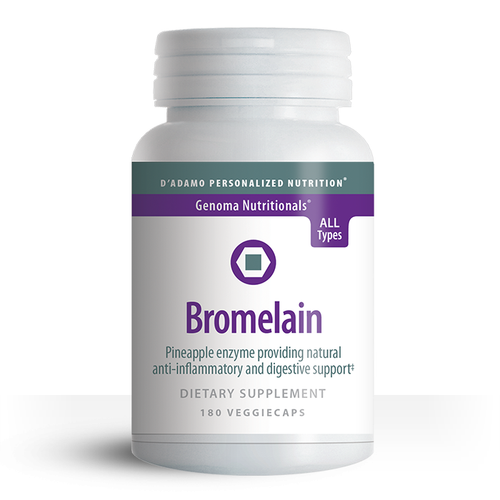 A diet tailored to your blood type that helps you manage, prevent or treat the symptoms. Finally, Arthritis includes a four-week plan for getting started that offers practical strategies for eating, exercising, and living right to prevent, fight, manage, and treat the pain of osteoarthritis, rheumatoid arthritis, fibromyalgia, and other inflammatory conditions. Find You Celeb Diet Tribe!